Coalition government at Westminster did not end in 2015: that much is now becoming apparent. In place of two leaders of identifiable parties shaking hands in the Rose Garden, we got a Tory majority made up of pro-EU and sceptic factions, and a distinct lack of hand-shaking. We can speak of factions rather than just tendencies (like Wet or Dry) when the factions have links between senior members of the government and their parliamentary supporters. A parliamentary majority can only be assured when there is agreement between the factions. Formally, collective cabinet responsibility can function as a way of securing these agreements, so long as the leaders of factions are in the cabinet and carry their MPs with them. But when the formalities of cabinet agreement crumble, the coalition becomes a minority government, and abandons legislation at the first sign of trouble. The budget presents particular issues in maintaining collective responsibility because it is not normally discussed in detail in the Cabinet. Instead, ministers accept the authority of the Chancellor to make the numbers add up. There is a good deal of potential for divide-and-rule in this process: in 2010 a ‘Star Chamber’ procedure was instituted where only those who had signed up to cuts in their own departments were admitted to the inner circle that scrutinized other bids. This process exploits, indeed heightens, the sense of competition between spending ministers, who know that their wins in protecting their budgets must be someone else’s losses, assuming that the Chancellor can stick to the targets that make up the fiscal framework. The great authority of the Chancellor over the budget relies on the backing of the Prime Minister, who ultimately has to be prepared to sack dissenters. Without his support, a resistant faction of cabinet ministers could organise and refuse to accept the fiscal framework. If that framework is not firmly pinned down, the competition that normally prevents cooperation between ministers is set aside. Presumably the fiscal framework for the March 2016 budget was broadly agreed by Cabinet, although details like the cut in capital gains tax might not have been. Furthermore, there was an attempt to tie the hands of the sceptic faction by ensuring that they were publicly implicated in spending cuts: thus Ian Duncan Smith announced reductions in disability benefits the Friday before the budget. It is implausible that IDS was unaware that the budget would continue the pattern established since 2010, of giving tax breaks to the wealthy while cutting back social security payments that largely go to the worst-off. The media were rightly unimpressed with his Damascene conversion to the cause of justice and equity. It is much more likely that IDS was outraged at the back-pedalling of the Prime Minister as the outcry grew, knowing that it would leave him exposed and thereby damage the eurosceptic cause. Arguably, it was Cameron who deviated from collective cabinet responsibility, failing to back the budget when he saw political advantage from reneging. While the Prime Minister focused on his eurosceptic opponents, his actions have left Chancellor Osborne gravely weakened. One problem with persistently failing to meet fiscal targets is that it becomes clear that the sky does not fall in: the constraints are self-imposed and that means they can be changed. Add to the mix that the second wave of austerity was always going to be more difficult than the first, and Osborne was going to need every ounce of Prime Ministerial backing he could get. Constrained by commitments on health and education spending, the Chancellor had made ‘welfare’ a particular target, putting enormous pressure on IDS to find solutions to secular pressures for spending to rise – notably, due to the aging of the population, which affects disability as well as age pension demands. Reassessment of claimants looked like an answer, but it turned out (as it has done in every disability benefit reform of recent decades) that those receiving benefits really did have substantial and pressing needs. So it has come about that the EU referendum and abandonment of collective responsibility on that question has brought about the demise of collective responsibility more broadly, with fiscal policy the area where the government’s division has become most apparent. This is no surprise. Not only does budgeting place exceptionally heavy demands on the government’s capacity to reach agreements collectively, but also policy on the largest spending item, social security, is one of the areas where the range and breadth of the EU fissure is revealed. UKIP’s manifesto gives a sense of how other issues have crystallized around Europe. It is traditionalist about the welfare state in the spirit of the US Tea Party slogan: ‘government hands off my Social Security’. The measures that have been important to those on below median incomes down the years: social housing that can eventually be bought, or at least not occupied to the rafters once the children have gone; a social security system that meets the costs of disability and other genuine misfortunes – these are backed by UKIP. It opposed the bedroom tax and other ‘austerity’ cuts which fell on those on low incomes, and explicitly criticized ATOS, the government’s contracted-out Work Capacity Assessment provider. There’s just one key condition: the welfare state should be maintained in a sovereign country, free to exclude immigrants at will. 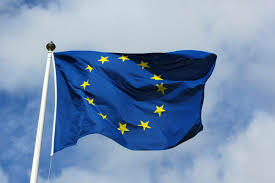 It has been forever thus, that there are issue linkages between EU membership and other salient policies. In 1975, Labour divided between its pragmatic centre and those on the left who detected that EEC rules would constrain industrial policy, limiting state aid and requiring the government to open public sector procurement to competition. Only when old Clause Four Labour was laid to rest and the programme shifted to new-fangled regulatory measures like the minimum wage could the party feel more warmly towards an EU which had moved on from market liberalization to the Social Chapter and environmental policy leadership. Sadly, much of Social Europe is coming undone with the euro area still in economic doldrums and a refugee crisis to manage, but that is another story. The task of managing the schism on Europe has got harder and harder as the leeway for bargaining and trading off has shut down. In 1975, it was possible to pretend that renegotiation was about something substantial – mainly, Britain’s contribution to the EEC budget – even though the numbers hardly justified the attention. The 1992-97 Major government was able to survive by making an important concession, that the UK would not join the monetary union. There is not much left to bargain over, and the calculation that renegotiation could have a positive effect went badly awry. Cameron’s attempt to negotiate a new deal in Brussels in the shadow of the referendum gave a confusing message to British voters. The claim that a dramatic renegotiation event was needed implied that successive UK governments have been signing away sovereignty and failing to defend British interests: that they are weak and ineffectual in the normal EU decision-making processes. This obviously conceded a great deal of ground to the ‘no’ campaign from the start. It also stacked the deck against any perception of success in renegotiation, by giving the message that the political leadership – including the Prime Minister, who has, after all, been in charge since 2010 – is not highly effective in the corridors of Brussels. Cameron set himself the task of reversing an account of the EU that is not only false (the UK has often got what it wants) but also damaging to his own reputation for effectiveness. Cameron promised the referendum to deal with division in the Conservative Party, but it is unlikely to do so. Labour’s referendum in 1975 had a similar motivation, but the party still split in 1981. The central problem is that the EU cleavage maps onto other fundamental divides. Regardless of the outcome, the Tories have to deal with a core of eurosceptic support made up of older and less-educated people living outside the main metropolitan areas. Despite their low incomes, they are socially conservative and therefore suspicious of Labour, and drawn to the secure nostrums of nationalism. Only the Conservatives can match UKIP in talking this talk, but the party has another constituency with more money, more inclined to be cosmopolitan and socially liberal in outlook. The two constituencies can be linked together, tenuously, by portraying the UK outside the EU as boldly internationalist, striking agreements in dynamic regions across the globe. But the idea of free trade that this image promotes is nostalgic. International economic integration nowadays is not primarily about shipping goods through the Suez Canal; it means ‘invisibles’ like financial services, the securing of intellectual property rights, regulatory harmonization and, indeed, openness to the movement of people seeking education, forming networks and doing deals. Brexit will mean protectionism in the intangible dimensions of the international economy, and Conservative pro-Europeans recognise this. 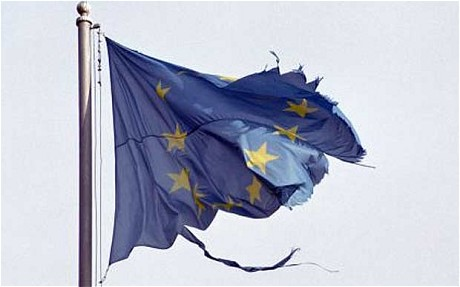 The party’s division over Europe is as fundamental as its divisions over free trade ever were. Harold Wilson had better political judgment than David Cameron – he knew to resign unexpectedly, rather than setting up a long war of succession – and he controlled the suspension of collective cabinet responsibility during the referendum campaign much more tightly. The referendum will not resolve Conservative splits between its liberal and traditionalist wings: splits which will become more salient as the divide between cosmopolitan parts of the country and the backwaters widens (as Jennings and Stoker have pointed out in this journal). The party will need a leader who is more adept than Cameron at managing its factions if it is not to take Labour’s path in the post-referendum period.